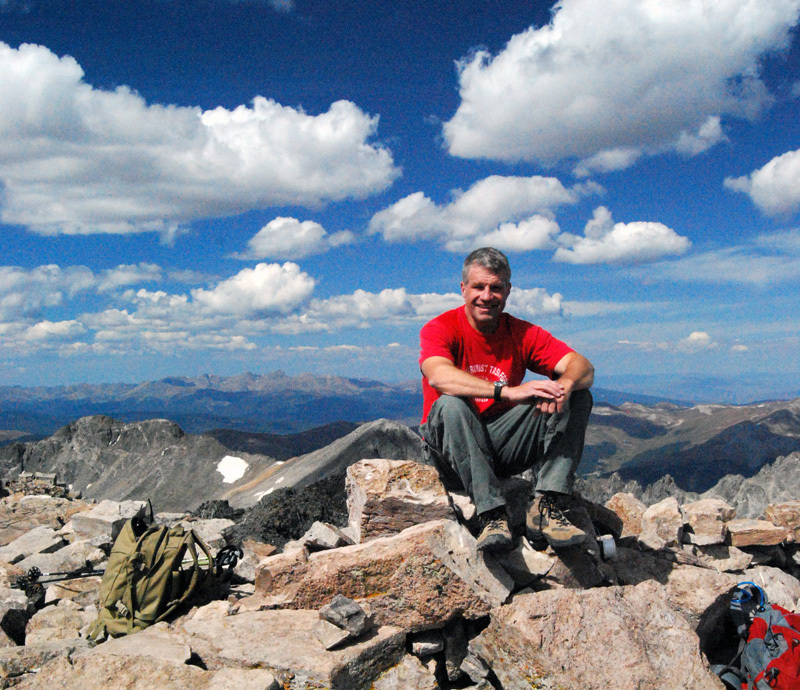 Whether you live in Colorado or are just visiting, you’ll find many opportunities to combine a love of the outdoors with exercise that’s good for your heart. Whether it’s as sedate as a walk through a city neighborhood or as spine-tingling as white-water rafting, Colorado offers outdoor activities to suit everyone’s exercise needs. Quandary Peak, near Breckenridge, is a good introduction to Colorado’s “fourteeners,” mountains that are at least 14,000 feet high. You won’t need to use ropes or advanced scrambling techniques to climb Quandary, which reduces the climb’s difficulty while still testing endurance. The three-mile climb begins at 10,700 feet above sea level, with a route that bypasses a group of deserted mines before reaching the peak’s tree-line. Cross-country skiing may lack the downhill sport’s glamor, but you’ll cut lift time and face less risk of injury. What’s more: Unlike downhill’s reliance on gravity for propulsion, cross-country skiing courses include level and uphill sections that place more demands on you. If you’re seeking a winter sport that offers the aerobic benefits similar to those of walking or running, the demands of cross-country skiing probably make it the better choice. No matter what type of skiing you prefer — Colorado’s 26 ski resorts, the yearly snowfall of approximately 465 inches, and a skiing season that extends into spring all make it a strong contender for your next winter vacation. 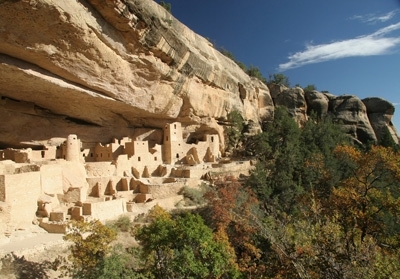 Remains of Anasazi (Ancestral Pueblo) cities that date back to the Middle Ages are the crown jewel of this park near Cortez. You can take self-guided tours on trails such as the Petroglyph Point or Nordenskiold Site No. 16, or get a more intimate view of sites like Cliff Palace and Balcony House with a guide’s help. Exploring Cliff Palace and Balcony House requires climbing ladders and crawling through tunnels. If you don’t think you’re physically up to the exertion, consult your physician or cardiologist. If you’re not under a doctor’s care, use services like ZocDoc, Vitals, and RateMDs to find one. Crested Butte is Colorado’s unofficial wildflower capital. A trek along the West Maroon Trail provides all the supporting evidence you’ll need. This is one landmark where timing your visit is critical, as the peak months of July and August is when the columbine, larkspur, and lupine are in full bloom. Begin the trail at Schofield Pass. You’ll follow the Crystal River’s east fork, where the meadows of wildflowers lie. After hiking a 4.5-mile trail that climbs 2,090 feet, you’ll reach Maroon Pass, where Pyramid Peak, the Maroon Bells, and other mountain peaks surround you. If you can’t get to Colorado for peak wildflower season, its state and national parks offer many hiking alternatives that explore mountains and prairies, feature abundant wildlife, and offer spectacular views of rock formations and waterfalls. A cowboy’s life included heart-pumping activities like riding horses and herding cattle that you can experience first-hand during your stay at a dude ranch. Once the day’s chores are complete, you’ll enjoy evenings by the campfire, great food, and entertainment. Near Buena Vista lies a 12-mile white-water rafting course along the Arkansas River that is as much a treat for the eyes as a challenge for the heart. 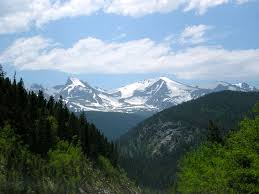 It begins at the foot of mountain peaks, and then descends into a gorge that bald eagles and bighorn sheep call home. 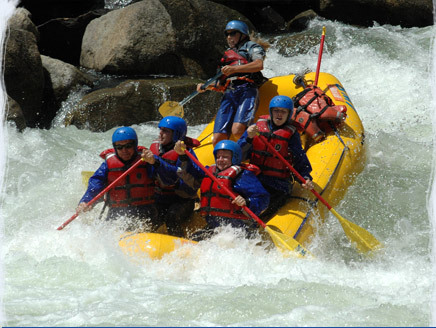 The course includes both Class III and Class IV rapids, of which the most famous is the quarter-mile long Zoom Flume. It’s a spectacular way to combine sensual indulgence with a daunting physical challenge. Denver’s Capitol Hill neighborhood includes historical, cultural, and civic landmarks such as the Byers-Evans House Museum, Denver Art Museum, Denver Public Library, State Capitol Building, Civic Center Park, The Denver Mint, and Pints Pub. This walking tour includes all of them. That’s a taste of how you can experience the beauty of Colorado and help your heart at the same time. Please share your own ideas in the comments below. Winter Park has always been my favorite place in Colorado to embrace the outdoors. I have been there 3 times. Thanks for bring back some wonderful memories. Glad to see your comment Bob and It’s my honour that I could be the reason for your wonderful memories.